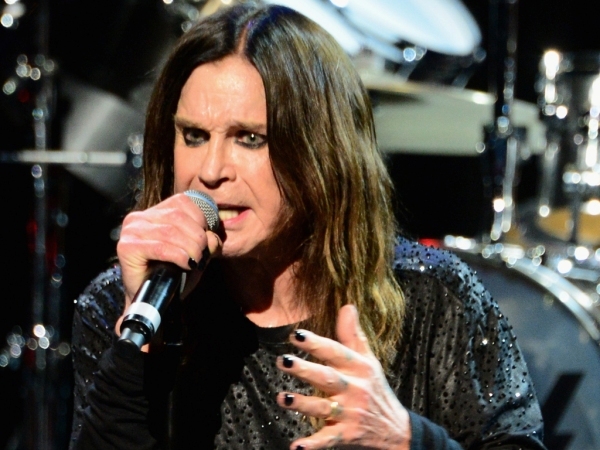 Ozzy Osbourne is desperate to become a Sir. The legendary rocker made his name in Black Sabbath, who have been making music since 1968. The 65-year-old star believes that's long enough to warrant congratulations from Britain's Queen Elizabeth II. "It would be nice if I get one," he told New York Daily News' Confidenti@l column at the Classic Rock Awards in Los Angeles. "You have got to ask the queen." If he was awarded a title, Ozzy would join the ranks of Sir Paul McCartney, Sir Elton John and Sir Mick Jagger. Angelina Jolie was also recently made an honorary Dame thanks to her services to UK foreign policy and the campaign to end warzone sexual violence. Ozzy received the Classic Album prize for his 1980 solo effort Blizzard Of Ozz at the awards show earlier this week. He sees attending such events as part of his job and wouldn't dream of turning an invite down. He's less impressed by the state of modern music though, claiming he can't "relate to it". He also believes there isn't anything that new in the charts these days, explaining most tunes borrow from something that's gone before. That's an idea which Ozzy's wife Sharon echoed, using the story about Justin Bieber urinating in a bucket last year as a prime example. "There is nothing new in what people are doing now,” she said. “They say, ‘Oh, my God, did you see what they were wearing? Did you see what they did? Someone p**sed in a bucket!’ Wow! I p**sed and sh*t in Tiffany’s boxes. It’s all been done." Ozzy is famed for living the typical rock star life. He's battled addiction issues in the past, previously saying that much of his career is a blur because of the substances he took. Sometimes that led to strange questions from those around him. "I was in Tokyo, p**sed, and someone was like, ‘If you want pearls, I’ve got a guy.' I call this guy and go, ‘I’ll have some of them, some of them,'" he is quoted as saying by British newspaper The Sun.